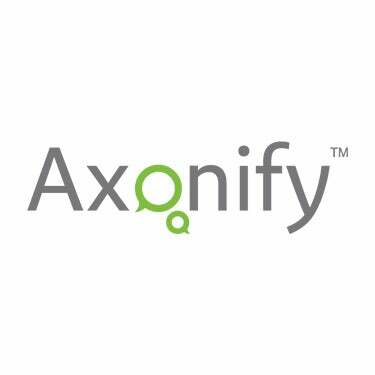 The Axonify crew just got back from the ATD Conference in Orlando, Florida. We were there to speak, exhibit and participate in conference sessions over the past week. As a marketer, my focus was to attend the sessions to gain more insight into the challenges of learning professionals and opportunities in this changing industry. In each session, I was surrounded with intelligent professionals from across the globe—experts in training and development. I felt like a fish out of the water, to say the least. But, as one of the few people outside of this profession, this also afforded me a kind of permission to ask questions. And these professionals were more than willing to dish about their frustrations. Probably the most common issue I heard was that learning professionals don’t feel valued in their organizations. They can’t get the attention of the C-level execs, and they don’t know what to do about it. These people are incredibly passionate about their roles and want to make a difference. To better understand this challenge and what learning professionals can do about it, I decided to attend several sessions on the topic. My favorite was a presentation by performance strategist and author, Ajay Pangarkar. Learning professionals need to align what they do with the goals of the C-suite. These goals include generating revenue, increasing growth and cutting costs. If learning professionals can’t align their business activities with these goals, they won’t gain the respect or budget dollars from key decision makers. Learning professionals need to remember they are part of a business, not a resource for the business. That means they need to shift their focus from the general concept of learning to the way that learning results impact business performance. This mindset shift will help them think more like a C-level executive and keep true training goals top of mind. Knowledge is power, only if people can actually use it. That means L&D activities must tie directly to achieving specific business goals. To do this, learning professionals must understand the overall business strategy, plus specific business objectives that align with this strategy, to create additional objectives, measures targets and indicators that map their efforts to business impact. ROI does not make sense as an L&D measure. Training is a cost center for the business and ROI is only used as a measure in profit centers. This means the learning department needs to create its own performance measures. As long as these measures tie to specific business objectives, L&D professionals will be able to show value to the organization. Have you managed to grab a seat at the C-suite table? We’d love to hear how learning is delivering real business value in your organization.